In 2012, as part of a rebranding, ASHRAE began doing business as "ASHRAE" vs. using its full legal name of the American Society of Heating, Refrigerating and Air-Conditioning Engineers. Use of ASHRAE reflects the Society’s worldwide membership and that services will continue evolving globally. The International Air-Conditioning, Heating, Refrigerating Exposition (AHR Expo), which started 86 years ago as a heating and ventilation show, has grown into the event of the year for the HVACR industry. The 2018 Show will be held in Chicago, hosting more than 2,000 exhibitors and attracting crowds of 65,000 industry professionals from every state in America and 165 countries worldwide. The Show provides a unique forum for the entire HVACR industry to come together and share new products, technologies, and ideas. 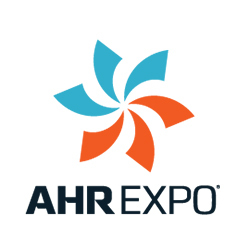 The AHR Expo is co-sponsored by ASHRAE and AHRI, and is held concurrently with ASHRAE's Winter Conference. Come see DiversiTech in January 2019 at AHR in Atlanta, our hometown! AHRI's 315 member companies manufacture quality, efficient, and innovative residential and commercial air conditioning, space heating, water heating, and commercial refrigeration equipment and components for sale in North America and around the world, and account for more than 90 percent of HVACR and water heating residential and commercial equipment manufactured and sold in North America. Energy Saver is the U.S. Department of Energy's (DOE) consumer resource on saving energy and using renewable energy technologies at home. Learn more about the Energy Saver Mission.